At FYZICAL Therapy & Balance Centers our expert therapists perform thorough. Once the root cause of your problem has been discovered, a comprehensive plan can be developed to quickly relieve your pain and restore natural movement to your TMJ. Furthermore, our physical therapists will teach you techniques for regaining normal jaw movement for long lasting results. The focus of physical therapy for TMJ is relaxation, stretching, and releasing tight muscles and scar tissue. 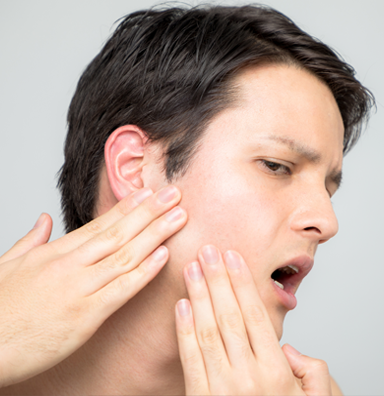 In most cases physical therapy can resolve TMJ and prevent the need for surgery. However, in cases where surgery is necessary, physical therapy is a vital part of the recovery process, as it helps minimize scar tissue formation, muscle tightness and allows for a complete recovery.